• Analysis of in-service behaviour. 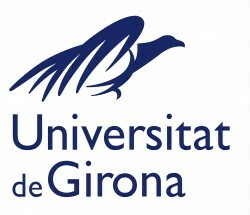 AMADE seeks a doctoral candidate for the FI 2015 scholarship of the Girona University. The scholarship is for 3 years starting from 2015. The work place is in the Polytechnic School of the Girona University. • Good command of written and spoken English, preferably a TOEFL, IELTS or Cambridge CAE or CPE certificate. • Used to work independently and enjoy working in an international environment as well as close contact to researchers. The selected candidate will carry out task in project related to FRP reinforced concrete structures and is expected to have practical experience in FRP and experience in numerical modelling. • To develop a PhD Degree in an international and motivating research group. Interested candidates please send your CV, a copy of your academic degrees and the corresponding expedients in English together with a brief motivation letter (max. 500 words) to the e-mail info.amade@udg.edu by August 31st 2014.